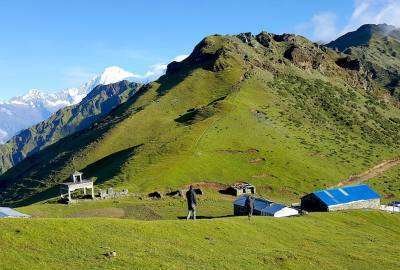 Ganesh Himal Region, less trekked area rewards every trekker with breathtaking experience of its natural beauty and landscapes. The alleys that you will follow are simply a creation of nature. Visitors can observe the blossoming of vivid floras and fauna if you will ever trek in this region during the spring time. Blooming of orchids, rhododendrons, jasmines and other wild floras are most commonly seen in this region. In addition the area also offer you, an excellent habitat for a wide variety of plants and animals; 526 species of plants (including 40 species of orchids), and 300 species of birds. Other interesting wild animals are the Himalayan Thar, Gaur, many kinds of Monkeys and musk Deer. 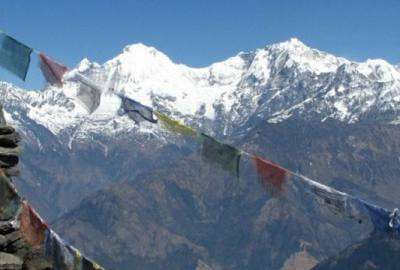 There are some interesting panoramic viewpoints, which are called Singala pass, Pangsang Bhanjyang, Jaisal Kunda, Jyamrung. These places offer more than 40 mountains over 6000m (19´680ft. ).